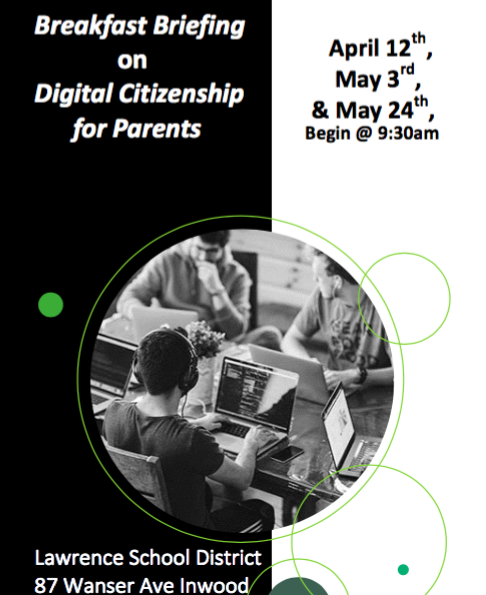 Introducing Digital Citizenship Workshops for Parents in Lawrence School District! In Lawrence, we would like to use a proactive approach to develop well-rounded, safe, digital citizens. It is our number one goal to keep our children safe and mindful of their actions. We will provide you with strategies to use at home to ensure your children are responsible Digital Citizens. Join us to educate and empower your child about safe and responsible internet, and social media use with these workshops we are providing! Each session will take place at: 87 Wanser Avenue @ 9:30am!